Fleetwood Festival of Transport, Tram Sunday, has evolved into a spectacular Festival which offers a wide range of entertainment, activities and fun, catering for all age groups. It’s a Classic Vehicle Show with stalls and rides and the amazing SpareParts Arts Festival. 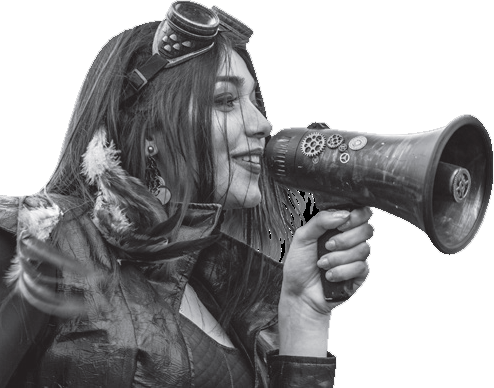 SpareParts is the UK’s ONLY festival of art, performance and spectacle dedicated to transport and travel. As well as all the incredible vintage vehicles, we are delighted to once again bring to you a dizzying display of acts of motion, movement and wonder. The fun has already been going full steam ahead through months of activities all across Fleetwood with our varied participation groups. This year we aim to have our largest contribution from Fleetwood residents in the parade which starts at 3pm at Fisherman’s Walk. As usual we hope you will be surprised as you make your way through town on the day, by some of the many walkabout artists who will be popping up throughout the footprint. Arriving in a cloud of raucous brass heavy music, driving their home made, flaming and smoking battle-church. Dressed in punk marching band attire & existing within their very own miniature apocalyptic microclimate. Their mission? To educate you into what to expect when we move into the next phase, the switch over into the new dawn, into the next frequency of consciousness. Sam has 24 hours to clear out his grandad’s old bike workshop. He remembers grandad teaching him to ride (and pretending to be his favourite superhero,Bicycle Boy). It seems grandad may have left Sam a present somewhere in the workshop, and some clues to find it. But there’s no power and Sam needs electricity to unlock the clues. Can you help him? If we can connect up enough bikes and pedal like mad we can generate enough power for Sam’s journey. Join us for a musical adventure (and be prepared to help pedal power the performance). When a rag-tag group find themselves caught between homes, they are confronted with tests, trials and magical creatures. They will have to learn each others’ stories in order to understand their own. Theatre Témoin bring their vibrant visual style to the great outdoors, using clowning, comedy and large-scale puppetry on an adventure exploring destinations, journeys and who we meet along the way. Routes has been developed and researched with Refugee, Migrant, and Native British groups and artists in partnership with PsycheDelight, Young Roots, A Band of Brothers,Creating Ground, and Greenwich Migrant Hub. 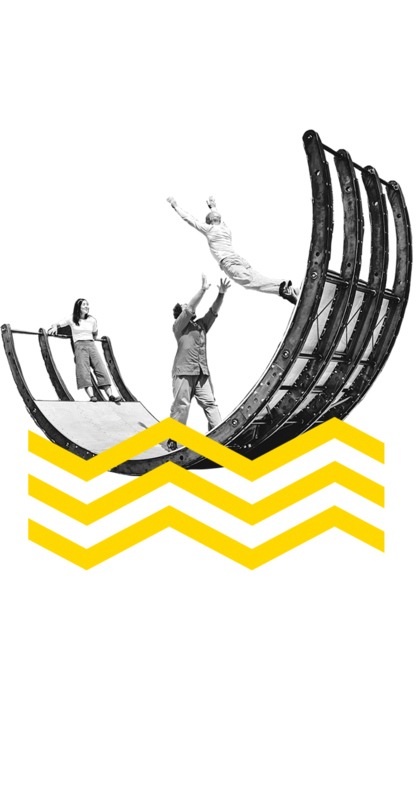 Circus meets sculpture in this exciting new out-door show from Ockham’s Razor, winners of the Total Theatre & Jacksons Lane Award for Circus at the Edinburgh Festival. The concept of the belly of the whale is found in mythology around the world – what happens when we confront our fears and come face to face with the power and momentum of things we seemingly can’t change? Prepare to be amazed at how far Roger has gone to make his fantasy a reality; is he really a magnificent man with a flying machine, or just ‘plane’ deluded? Covering hundreds of miles at a time with no mod cons, the road warriors are dirty and hangry! Ready for action and carrying weapons, the wasteland warriors come pushing their V8’s and truck prams made from recycled materials in search of water and fuel. Fights often break out between the Wastelanders – keep back, you may be taken hostage! The Mad Max Prams and assorted wasteland accessories will be available in The Village for you to create your own post-apocalyptic style: you can become a wasteland warrior too… and it’s the best place for alternative selfies! Boom Bike Bourrée are an original 21st century streetband. A joyous mix of medieval dance, traditional folk and hip-hop! Featuring grinding hurdy-gurdy, pumping accordion, slide trombone and a beatboxer. Four musicians and wirelessly boosted to 1.5 Kilowatts by the amazing Boom Bike Sound System. Fat beats, heavy bass, digital fx, catchy tunes and dancing in the street.